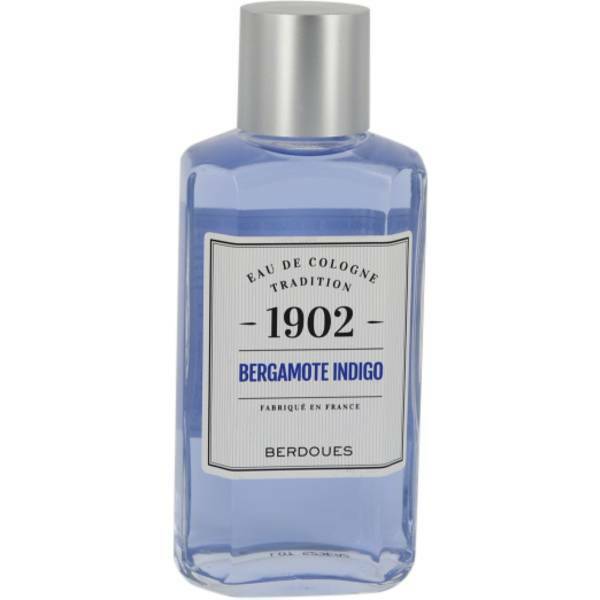 1902 Bergamote Indigo Perfume by Berdoues, Created and released in 2016, 1902 Bergamote Indigo is a citrusy unisex fragrance with a sophisticated allure . The blend features juicy top notes of bergamot, rhubarb, and black currant, followed by flowery heart notes of orange blossom, jasmine, and lavender. Earthy base notes of musk, amber, and assorted woods complete the fragrance with a soft, woodsy touch, balancing out the blend’s fruity and floral accords. Wear this fragrance during the day or night to make people’s heads turn as you walk by with confidence. Main Accords: White Floral, Aromatic, Fresh Spicy, Woody, Citrus Style: Luxury, Date Night, All Weather, Fun, Confident Perfume rating: 4.01 out of 5 with 278 votes.